An email sent out by public safety in the late morning of Jan. 31 gave details on a “potential threat on social media,” later revealed to be a student now arrested and banned from the university. Met with many unanswered variables, students on campus looked to the various public reporting services provided by Public Safety and the borough police. Arrest records, imminent danger alerts and crime activity reports give no indication on what this threat could have been. Speculation has grown on the incident, with one student citing a Snapchat joke featuring guns made in poor taste as the cause of the incident. No suspect has been identified. 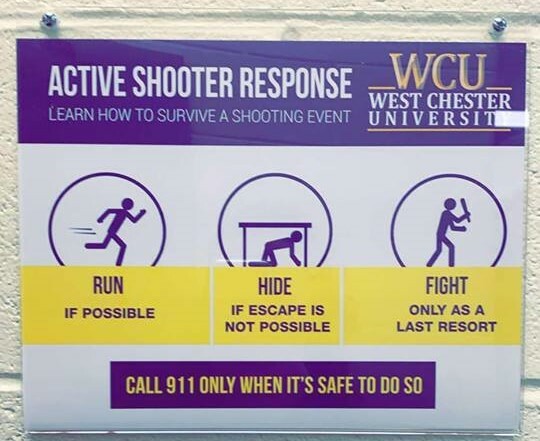 This email further punctuates student emotions on the subject of gun safety on campus, as official posters on “active shooter response” are posted around the campus. The Quad will update as we receive more information on the incident.